I follow lots of websites out there, mostly sewing or knitting or crochet related, because there are so many creative people sharing their ideas and I don't want to miss a single one! 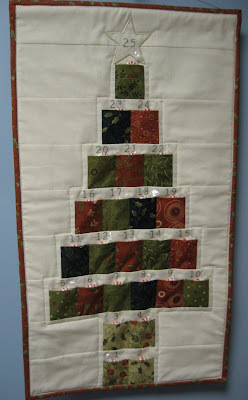 Elizabeth Cranmer is a very creative young lady who designs quilts, among other things. Her website is Pigtails and Snails and always fun to read. Yep, she's giving away one of her original quilts! I just couldn't pass up this chance to win it myself by sharing the opportunity with you too. So hop over to Lizzy's place and check out her new design. You might be the lucky one who gets to take it home! Wow! She is really talented! Wish she lived closer. 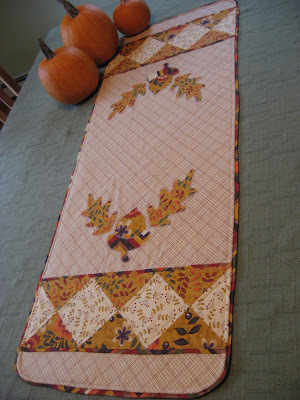 I have a beautiful scalloped topper that my grandgrandmother created that so very badly needs to be quilted. Giveaway Prize Ready to Go!